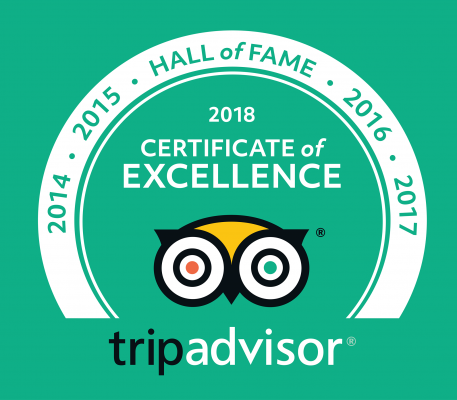 We are thrilled to announce that we’ve been awarded the 2018 TripAdvisor Certificate of Excellence for the seventh consecutive year in a row and this year we have qualified for the Trip Advisor Certificate of Excellence Hall of Fame! Thanks to all of our wonderful guests who have visited and posted reviews over the years! This achievement is a direct result of consistently great reviews from TripAdvisor travellers and is only awarded to properties that consistently achieve ‘outstanding’ traveller reviews on TripAdvisor.